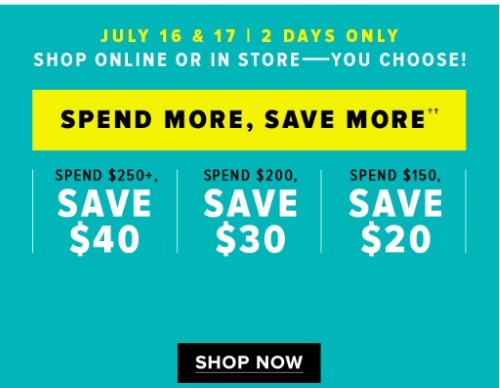 Hudson's Bay has a Spend More, Save More Event on now! Enter the promo code SAVEMORE at checkout to get the discount. Free Shipping applies on all orders. Sale is valid June 16-17 only.